When your hormones are out of balance, you know it. Stress takes over, weight creeps on for seemingly no reason at all, a full night of sleep is a thing of the past, and energy slips away all too easily. Take stock of what you’re eating! The foods we eat play a tremendous role in our body’s ability to manage the delicate balance of hormones. Constantly in motion, our hormones go through ebbs and flows at various points in our life. Incorporating these foods into your diet can help you level off and feel great. No other fat can help balance unruly hormones like coconut oil. Coconut oil is one of the best sources of medium-chain triglycerides (MCTs), a type of fat that is quickly converted to energy (not fat) shortly after it is consumed. Coconut oil has shown promise with people who need thyroid support; it is also a boost to their metabolism. Eat: Coconut oil can be used in just about anything. It becomes solid below 76 degrees and is an easy addition to smoothies, roasted vegetables, eggs, and even baked goods. Dried plums, also known as prunes, may not be the first food that comes to mind when you think “hormone help,” but they shouldn’t be overlooked. Dried prunes have been shown to help balance estrogen levels, encouraging a more regular cycle, decreasing the risk of breast cancer, and improving bone strength. Research has shown that women who eat about 100 grams (or 10 dried plums) a day reap the greatest benefits. A word of advice: Dried plums have a natural laxative effect. Eat: Before embarking on this quest, ease your way up to 10 dried plums over the course of a week, then maintain indefinitely. You’ve probably seen broccoli on a great many lists of foods you should eat for a number of reasons. Well, they’re all right! Broccoli is a great food — especially if you’re dealing with out-of-control blood sugar levels. Think of the hormone insulin as your fat storage hormone. When it’s running smoothly, your blood sugar levels stay in check, you feel hungry less often, and you’re much less likely to gain fat through the belly area. Eating lots of broccoli, along with other vegetables, is a great way to bring balance to this all-important hormone. Eat: Because broccoli is low in calories, you really never have to worry about eating too much. Enjoy raw, lightly steamed, or roasted. Our hormones have a tremendous effect on our mood. Anxiety and depression affect millions of people across the country. In fact, depression is the leading cause of disability in the United States for people ages 15 to 44. The foods you eat may not eliminate mood disorders, but they can help — especially if they’re a good source of omega-3 fatty acids. Wild salmon is arguably one of the best sources of this healthy fat. Our brain needs a lot of fat to operate optimally, and omega-3s are the fat of choice. Studies have shown that people living with depression show marked improvement after sticking to a regimen that includes healthy sources of omega-3 fatty acids, including wild salmon. Eat: Aim for two servings of wild salmon each week, and be sure to supplement with an omega-3 fatty acid, like fish oil, on the off days. 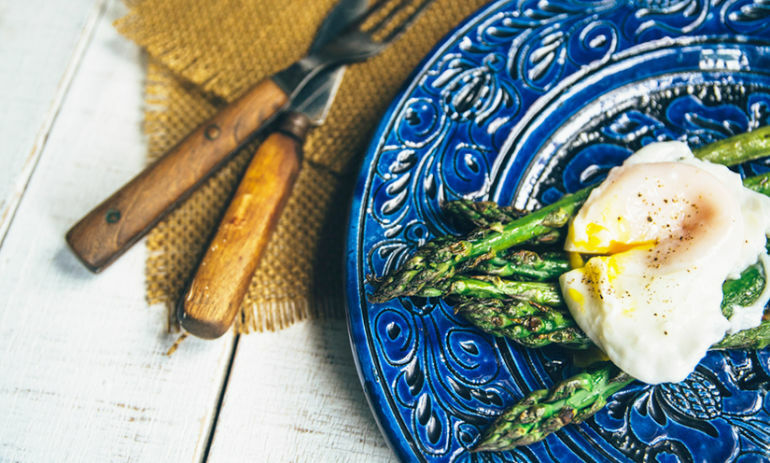 Eggs are a great source of folate, a nutrient that helps keep our nervous system in check, positively affecting cortisol. Eggs are also high in phosphorus, which helps repair muscles, improve brain function, and manage fluid balance. Eat: If you’re feeling a little stressed out, scramble up a few eggs, sit back and relax. In most cases, elevated levels of the body’s stress hormone, cortisol, is the problem.